One of the biggest trends in smartphones right now is toward models equipped with powerful, high-end cameras. Phone manufacturers are no longer content to play the megapixel game, either. As we saw in our previous smartphone camera tests, having more megapixels doesn't necessarily translate into taking better photos. Two phones with 8-megapixel sensors can capture very different-looking pictures. This year, smartphone manufacturers are focusing on image processing, advanced controls, and full-featured interfaces for their cameras. Many smartphone cameras now come with a wide array of shooting modes, including panorama, HDR (high dynamic range), and macro modes. The PCWorld Labs matched some of the hottest smartphones to come out this year in a head-to-head battle to see which one rates as the best camera phone. We tested seven phones running three different operating systems across four carriers to see which model had the best all-around camera and camcorder. 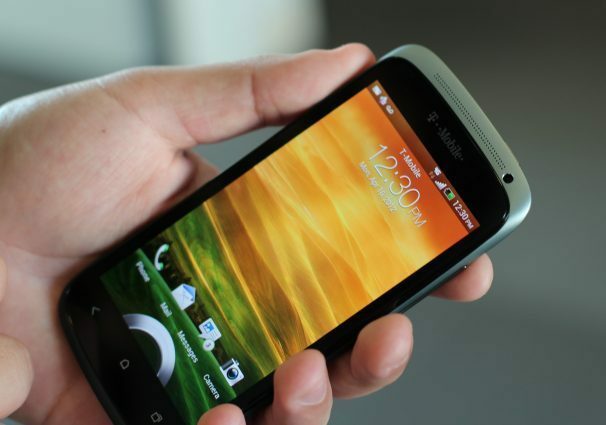 For T-Mobile, we tested the Samsung Galaxy S Blaze 4G and the HTC One S (both Android phones). For A&T, we selected the HTC Titan II and the Nokia Lumia 900 (both Windows Phones). From Sprint, we chose the LG Viper 4G LTE (Android). And for Verizon, we used the Apple iPhone 4S. We also threw in the T-Mobile myTouch Slide 4S (Android), our previous champion for still-life photos. We were particularly interested to see how the Nokia Lumia 900 and the HTC One S would perform. When Nokia introduced the Lumia 900 at CES 2012, the company made a big deal about the camera's f2.2-aperture Carl Zeiss lens. Similarly, HTC emphasizes the camera technology in its One smartphone line. The HTC One S has the HTC ImageChip, which supports an f2.0 aperature. We were also curious about how well the HTC Titan would do, since it has a 16-megapixel camera--the highest megapixel count of all of our phones. With each phone, we used a truncated version of our regular testing methodology for point-and-shoot cameras. Our analysts in the PCWorld Labs shot a still-life scene using automatic settings in an artificial daylight environment; we turned the flash off to test exposure and color levels. We then shot an image of a target resolution chart to test how well the camera sensor could capture sharp details. We judged the still-life photos for exposure, color accuracy, and sharpness; we scored the photos of the resolution chart based on sharpness and distortion. We asked a panel of four judges to examine a printout of each image and to evaluate four components of image quality for each--exposure, color accuracy, sharpness, and distortion. The judges assigned one of five word scores to each image-quality component of each photo print: Poor, Fair, Good, Very Good, or Superior. For video testing, we shot a moving scene of a miniature Ferris wheel and train. We fixed each phone to a tripod, and then took two test clips. While shooting each test clip, we played the same audio clip through speakers to evaluate how well each phone picked up sound. In the first test video clip, we shot in bright indoor lighting. In the second test video clip, we shot with the overhead lights turned off and a floor lamp turned on behind the camera to evaluate low-light footage. Our judges evaluated all videos on the same five-word-score scale that they used for still images.